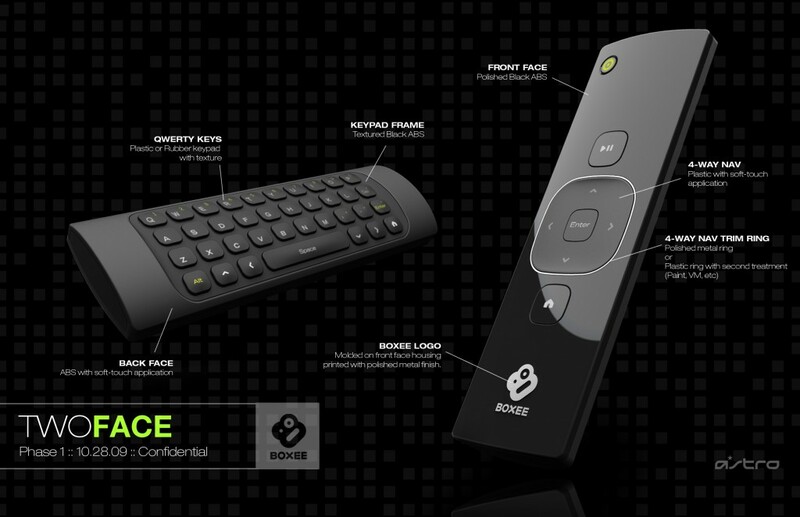 Our portfolio company Boxee has been having a great CES. First they generated a ton of buzz with this cool TV remote with a full QWERTY keyboard. But that was just the warmup to the big announcement yesterday in which they released the beta version of Boxee to everyone. 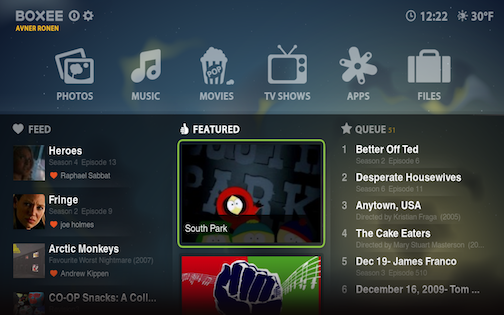 The beta version of Boxee is available on Mac, Windows, and Ubuntu Linux (including 64 bit). It will be available for Apple TV shortly. The beta includes a ton of new content, a more stable code base, and an entirely new UI. Here's a screen shot of the main screen which showcases the new UI. You can download the beta version of Boxee here. And Boxee announced that the "Boxee Box" that is built by D-Link is powered by the Nvidia Tegra 2 (T20) processor, the first of its kind to run flash. They also announced a few more details of what is inside the Boxee Box. If you are a hardware geek, click here and see what's inside. But as exciting as all of that is, I am most excited about a smallish announcement they made yesterday that might get lost in all of this other stuff. Boxee has a bookmarklet that you can put in any browser toolbar. Drag this link (add to boxee) to your browswer toolbar and you'll be adding videos you find around the internet to your Boxee. Right now the bookmarklet supports thirteen different video sites but Boxee will be adding more soon. Last June, on this blog, I promoted the concept of a "watch later" service and a number of developers responded to the call with various services. Many of them included Boxee apps. But now with the Boxee bookmarklet and queue, this concept of "watch later" will be native in the Boxee service. I'm really quite excited by this. If you are like me, you are seeing links to videos in email, twitter, facebook, blogs, etc all day long. It's time consuming to stop what you are doing to watch them. Now you can simply click on the boxee bookmarklet and watch them at home on your TV set after dinner while you are winding down from the day. It's a killer concept. Thanks Boxee.